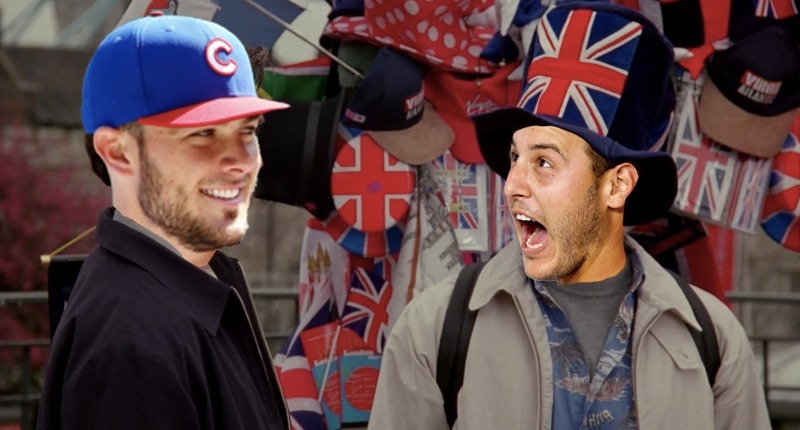 MLB Is Reportedly Considering a Cubs/Cardinals Series in London! Ello, there! In the spirit of the news, I’m going to write this entire post in English. I know that’s annoying, but I’ve been learning the language and would love some practice. Feel free to use Google Translate to understand what I’m saying … mate. Around noon on Friday, the Chicago Tribune dropped some knowledge, reporting that Major League Baseball is considering one of two matchups for its 2020 series in London, England: The New York Mets vs. the Washington Nationals and … The St. Louis Cardinals versus the Chicago Cubs. Yo. I know a lot of fans don’t love the overseas games for one reason or another (extra travel, wonky schedules, perhaps even a loss of a home field advantage), but I’m all for it. I think the uniqueness and fun of the event outweighs those potential issues. And this would hardly be the first (or last) time MLB took its talent out of the country. If you recall, the Dodgers and Diamondbacks opened the 2014 season in Australia and the Dodgers/Padres played a three-game set in Mexico last season. And this year, the Oakland A’s and the Mariners will play at the Tokyo Dome in Japan on the 20th and 21st of March and in June the Red Sox and Yankees are heading to merry old London Town. Indeed in 2020 – the year the Cubs/Cardinals are being considered for the a game in England – there’ll be a season-opener in Asia, April games in Mexico, May games in Puerto Rico (or the Dominican Republic) and June games in Britain (all of which, apparently, was agreed upon in the last CBA). Again, I’m all for it and I would love to see what shenanigans the Cubs could get into overseas. But we’ll have to wait a while to find out if they’ve been selected. No announcement has been scheduled/authorized and nothing is expected to be announced until after Opening Day.